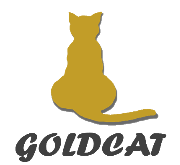 GOLDCAT provides exclusive services to free you from the hassles of transcribing music, translating documents and design user friendly eLearning materials for you. Content matters a lot in today’s world. We are proud to position ourselves as a professional service provider in these diversified areas with our skills and experience. Leave the tedious work to us so you can focus on what you do best. Copyright. All rights reserved by GOLDCAT @ 2017-2018.